Scroll down to find out about the various treatments I offer – all are provided in my professional treatment room in York. Semi permanent dye for the lashes that lasts up to 4 weeks. Choose from the following colours: Black, Blue, Black/Blue, Brown, Black/Brown. Semi permanent dye specially designed for brows & lasts up to 2/3 weeks. Or try the hi-brow tint for a longer lasting darker Color for £3 extra. Choose from the following colours: Black, Brown, Grey. Hi-Brow Tinting is a new technology semi permanent brow dye for Hi-Definition brows that lasts up to 6 weeks. Choose from the following colours: Black, Brown. Also included is a measure/wax/thread/powder of brows. A Lift, Lengthen & Volumize to your own natural lashes. Choose from small/medium/large lift depending on your lash length. Lasts up to 6 weeks. Great if you have straight lashes! Lashes are tinted black after so no need for mascara! No need for lash curlers! Using light weight Mink Individual Lashes supplied by The Eyelash Emporium, lashes are applied to your natural lashes to create length/volume. 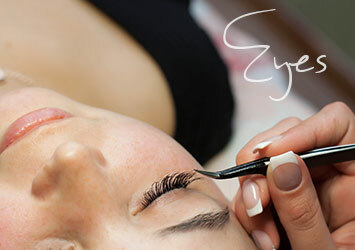 Choose from a selection of lash lengths & thickness. Lashes last up to 4 weeks & can be Infilled after 2/3 weeks if required. Small groups of lashes are applied to your natural top lash line to create a more volumous look that last up to 2 weeks. Choose from a selection of Strip Lashes to create a temporary (one day/night), more defined eye area for a special occasion. All eye treatments require a patch test 48 hours before treatments. See the treatment gallery for some recent lash photos! 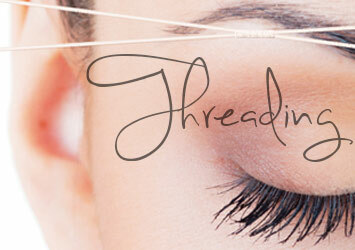 Threading is an ancient Indian way of hair removal. It is especially recommended for people who are allergic to wax. Using sensitive Lavender warm wax & wax strips to gently remove unwanted hair. Using only the best quality CND Shellac polish, enjoy having non-chip nails for up to 2 weeks. Choose from a wide selection of colours or french polish. Foot spa, Cuticles, Foot Scrub, Foot Massage, CND Shellac Polish. See the treatment gallery for some recent nails photos! Using the beautiful Neals Yard Organic hand products & then choose from a wide range of OPI nail polishes. • Express £25 – Nail shape, cuticles, hand massage, polish. • Classic £30 – Hand soak & hydrating scrub, nail shape, cuticles, hand massage, polish. Using the beautiful Neals Yard Organic foot products & then choose from a wide range of OPI nail polishes. • Express £25 – Nail shape, cuticles, foot massage, polish. 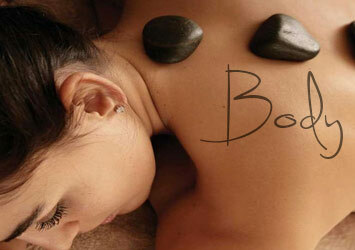 • Classic £35 – Foot soak, hydrating scrub & pumice, nail shape, cuticles, foot massage, polish. Using only high performance, quality, natural ingredient products for your skin, let me introduce you to the luxurious anti-ageing products from Temple Spa & the beautiful organic products from Neal’s Yard Remedies. Relax and let me do a full skin consultation first to bespoke a facial for you to benefit your skin. You also have the opportunity to purchase the Temple Spa/Neal’s Yard Remedies products that I recommend. 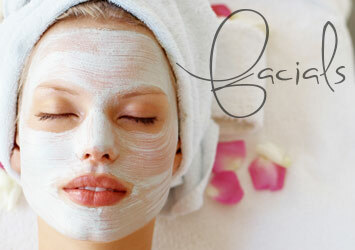 Deep Cleanse, Exfoliation, Hydrating Facial Massage, Luxurious Mask, Revitalising Toner, Day/Night Resting Moisturiser. Temple Spa products are not tested on animals are paraben free and are suitable for all skin types. Uplifting foot massage, rejuvenating deep cleanse, refining scrub, firming mask, hydrating facial massage & moisturiser. This is a luxury Facial incorporating Eastern Facial Massage and Face rejuvenation , helping to reduce fine lines and puffiness . This facial is incredibly relaxing , your skin will look more radiant , plumped and rejuvenated , you will have a feeling of total wellbeing and complete relaxation during this facial. Includes: Deep Cleanse, Glycolic Acid Exfoliation, Firming & Lifting Facial, Neck & Shoulder Massage, Firming Mask, Replenishing Moisturiser. Using the Galvanic Spa System pulsating machine to increase & stimulate facial muscle memory to transform your complexion. Includes: Deep cleanse, Rehydrating Scrub, Pulsating facial massage using Ageloc facial gels, anti-ageing moisturiser. Using Neals Yard Organic oils & creams to leave you totally relaxed with beautiful soft skin.